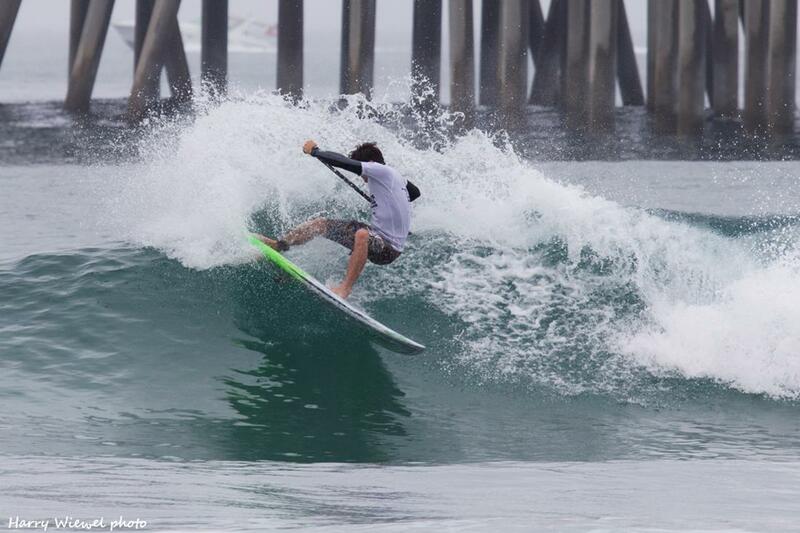 Kai Lenny (Naish) from Maui put together a flawless event campaign here in Huntington Beach to take the win at stop 3 on the 2013 Stand Up World Tour. Each round Kai put together high scoring heat after high scoring heat, with a climax in Round 4 where he posted a heat score total of 18.57, a near perfect score. 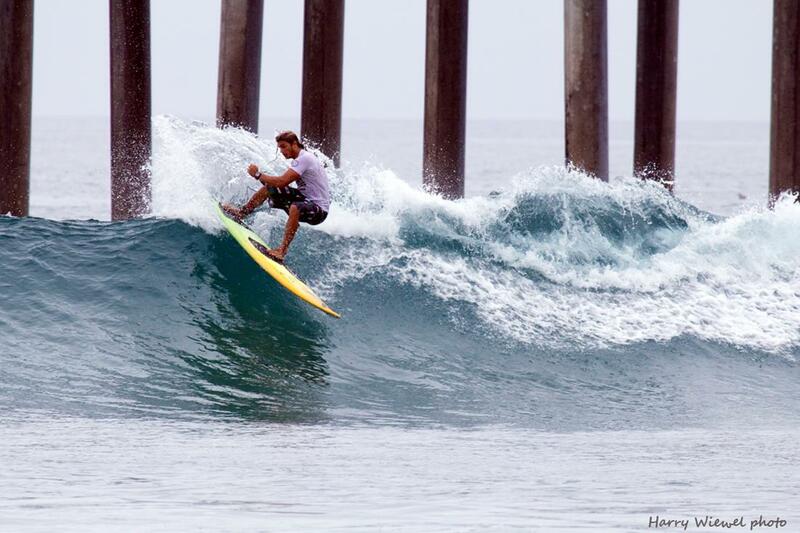 With a mix of high performance, crisp turns and progressive maneuvers, inclusive of a number of well executed aerials, Kai made his intentions known here in Surf CIty USA, and became one step closer to regaining the World Title that eluded him in 2012. 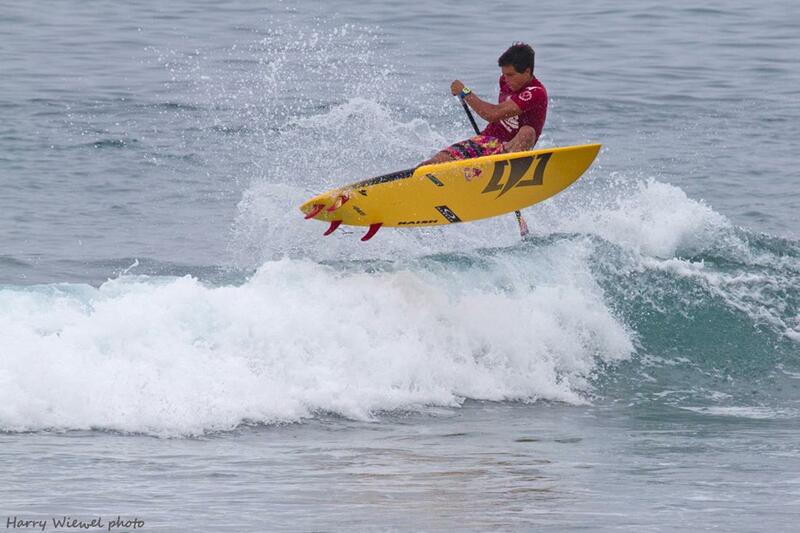 Caio Vaz (Art in Surf) from Brazil came into this event lying in 2nd overall, after a strong start at Sunset with a 9th followed up by a finals finish in Brazil, where he finished 2nd. Throughout this event he was one of the standout surfers, posting some of the highest scores of the event and proving himself to be a real Title Contender this year, right on Kai Lenny’s (Naish) heels. Still lying in 2nd place overall in the ratings, he has a great history in France, the next stop on Tour, where he finished in the Finals last year, so watch out for Caio’s meteoric rise here on the Stand up World Tour. Sean Poynter (Starboard) from Florida, but now residing in Southern California had somewhat of a home-court advantage, but surfed brilliantly through the heats on his way to the semi finals, clearly showing that he is very much in the Title Race once again this year, moving up to 4th place overall in the World Rankings after the first 3 events. Sean’s flowing and dynamic style allowed him to power through some intensely competitive heats on his way to the semis, only to come up against the on form Lenny (Naish), where his event campaign would end with an impressive 3rd place. A great performance from the US leading star. 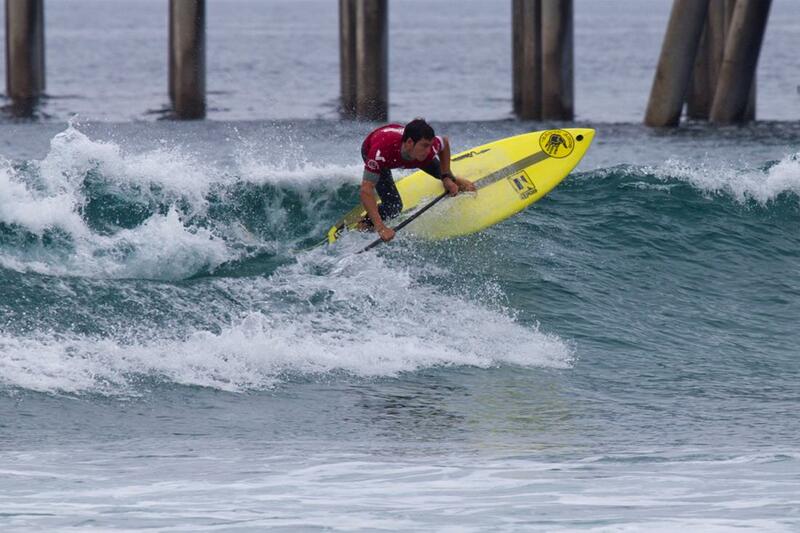 Mo Freitas (Focus SUP/Body Glove) put on another clinical performance here in Surf City USA, as his unique and powerful surfing style played to his advantage to allow him to progress through some fiercely contested heats on his way to the semi final. A 3rd place finish only strengthens his overall World Ranking, as he now moves into 5th overall – an incredible performance from such a young athlete who is demonstrating impressive promise and is proving himself to be a real Title Contender in 2013. The Quarterfinals saw some of the most intense battles yet on the Stand Up World Tour, as the Final 8 battled it out for their place in the semi finals in the dynamic Man on Man format that kicks in at this stage of the event. Stand out performances from Zane Schweitzer (Starboard) pictured above, Ian Vaz (Art in Surf), Kody Kerbox (Naish) and Daniel Hughes made this one of the most exciting quarterfinal showdowns yet and a sign of things to come here on the Stand Up World Tour, as the leading athletes start to consolidate on their positions on Tour and further their Title aspirations. 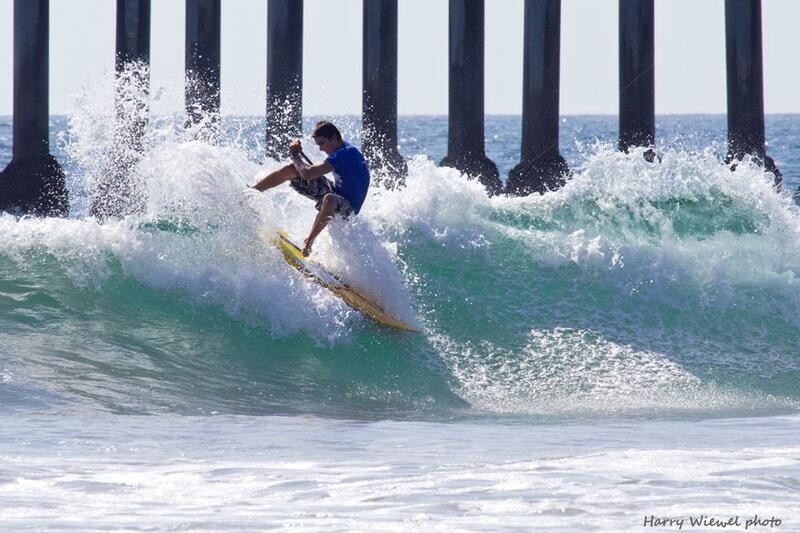 Kody Kerbox is still very much in contention, finishing in 5th place here in Surf City USA, to add to his 3rd at Sunset and 9th in Brazil, keeping him in 3rd place overall in the current 2013 Rankings. In the meantime, Ian Vaz (Art in Surf) moves up to 6th, Zane Schweitzer (Starboard) to 7th and 2012 World Champion Leco Salazar in 8th, making it one of the most competitive and exciting years yet on the Stand up World Tour. 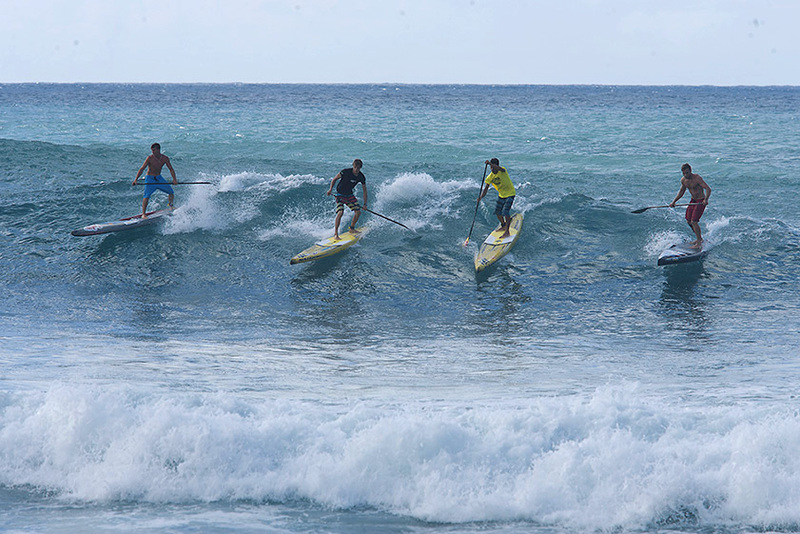 Stay tuned to www.watermanleague.com for highlights, recaps and much more as the 2013 season unfolds. 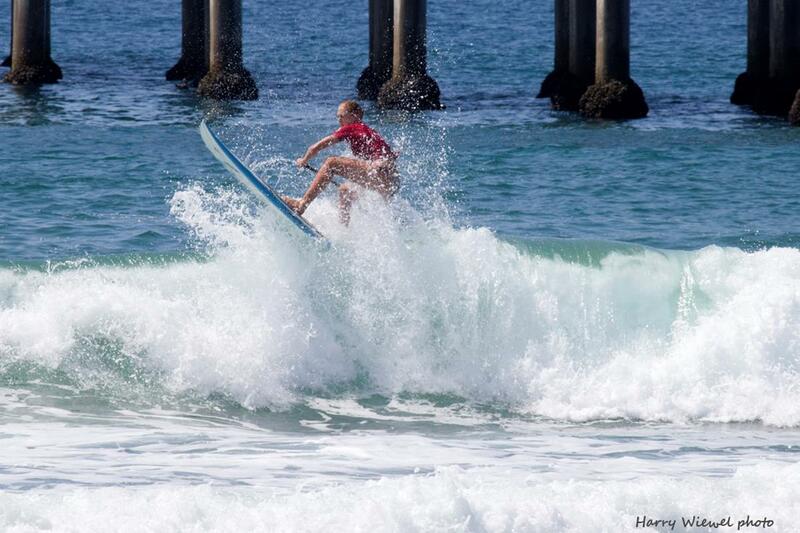 The young and talented Izzy Gomez (Starboard) from Florida takes the world by storm in Surf City USA by securing the well deserved and highly acclaimed win against the widely regarded event favorite and Southern California local Candice Appleby. In a fiercely contested Final heat, Izzy kept her composure and put on an impressive performance beyond her years to make history here on the Stand Up World Tour and propel her to 6th place overall in the World Rankings. With just one event remaining for the Women, it is still all to play for as they prepare for the final showdown of the year in France late October, as it all comes down to thew wire here on the Stand Up World Tour. Each athlete will be able to discard their worst result after France is completed, with their 3 best finishes counting towards the overall rankings. Having missed Brazil, this will be crucial for Izzy coming into the last event of the year. 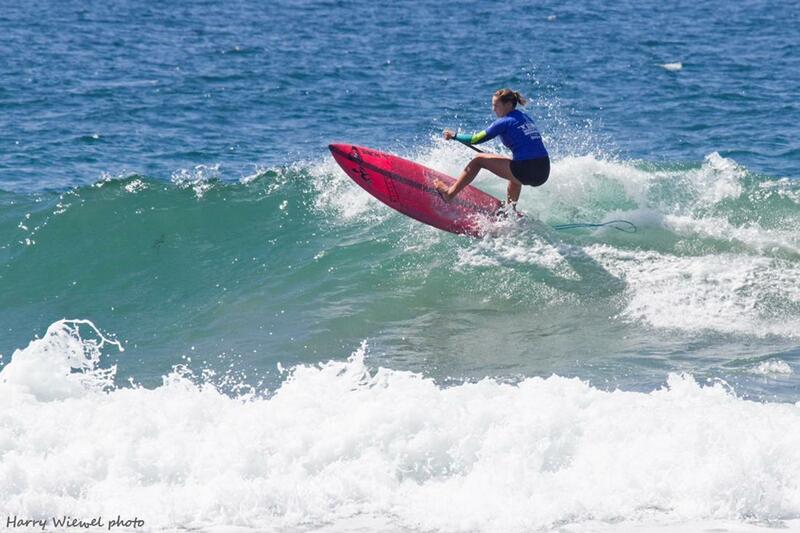 As expected, Candice Appleby put on a strong performance here at Stop 3 out of 4 for the Women on the 2013 Stand Up World Tour, posting some of the higher scores of the contest amongst the women and making it through to the Final against the eventual winner Izzy Gomez. While Izzy got the better of Candice in the final, there is no doubt that Candice is still every bit in contention for the World Title in 2013 as it will all come down to the wire in France late October, as the inaugural Women’s World Champion will be crowned. 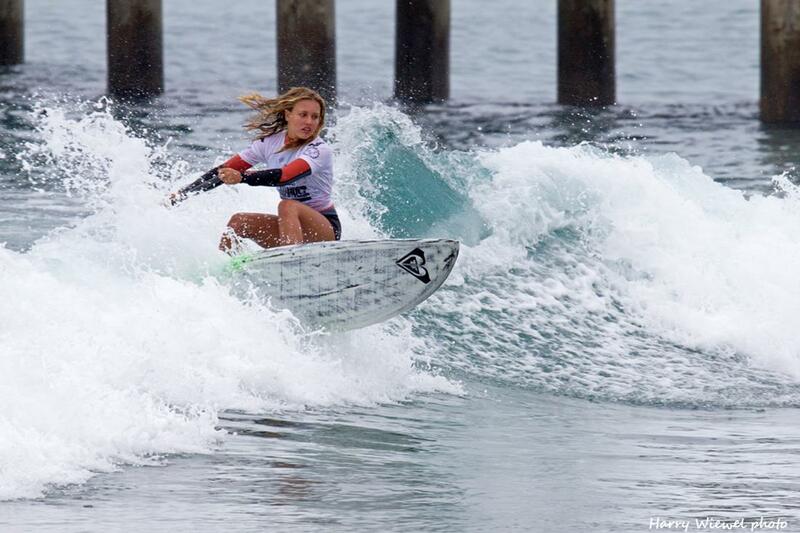 Candice is currently lying in 3rd place overall, but will be able to improve on that in France by discarding her worst result (a no show in Brazil) and with two 2nd place finishes so far this year, she will be looking to finish the year off strong at the La Torche Pro presented by Naish in October. Having won the Abu Dhabi All Stars this year and competed in La Torche, France last year, we knew that the talent from France, Caroline Angibaud was always going to be a serious threat here on the Stand Up World Tour, but the extent to which she would make her presence felt here at the Huntington Beach Pro presented by Starboard was unsure until she dominated her heats all the way through to the semi finals. 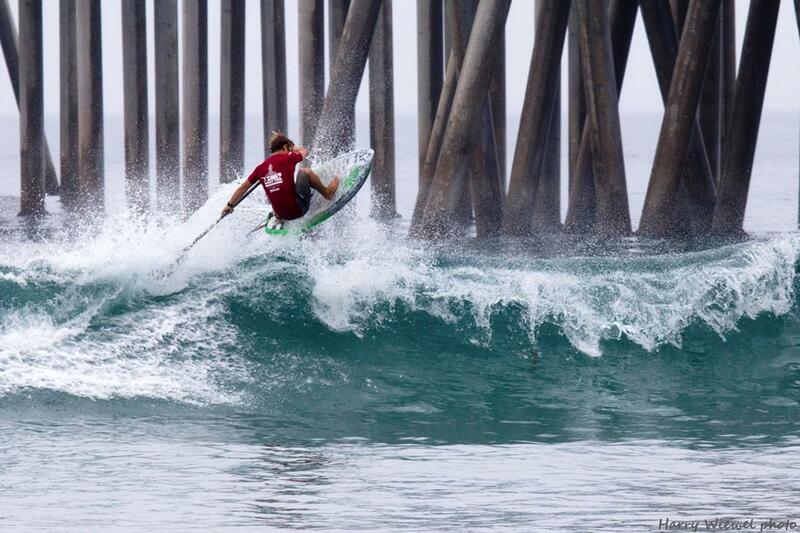 Caroline had to submit to the on form Candice Appleby in the semis, but settles for an impressive 3rd place finish here in Surf City USA and looks forward to the Tour returning home (for her) to France for the final stop of the 2013 season in La Torche. Caroline is now sitting in 10th place in the overall rankings, as she missed the first 2 official stops of the year. Vanina Walsh (Starboard) stepped up to the plate here in Huntington Beach, as expected, to once again put on a performance way beyond her years, allowing her to finish in an impressive 3rd place overall. With a consistent display of performance riding, Vanina proved to the world she has what it takes and will be looking in a strong position coming into the Final event in France, being able to discard her no show in Brazil and counting her 3rd place here and 3rd place at the Turtle Bay Pro back in February – she is currently lying in 4th place overall. A great performance from the young talent from Oahu as we look forward to see how the season unfolds for her. Make sure to stay tuned to www.watermanleague.com to see how it all unfolds. 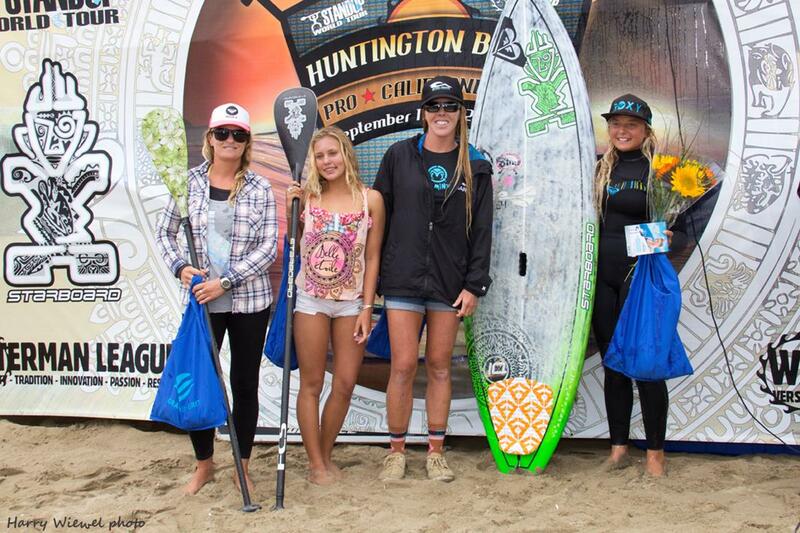 Aline Adisaka from Brazil put on another strong performance here in California, posting a 5th place / quarterfinal finish at the Huntington Beach Pro presented by Starboard, strengthening her current 2nd place overall on the 2013 Stand Up World Tour. 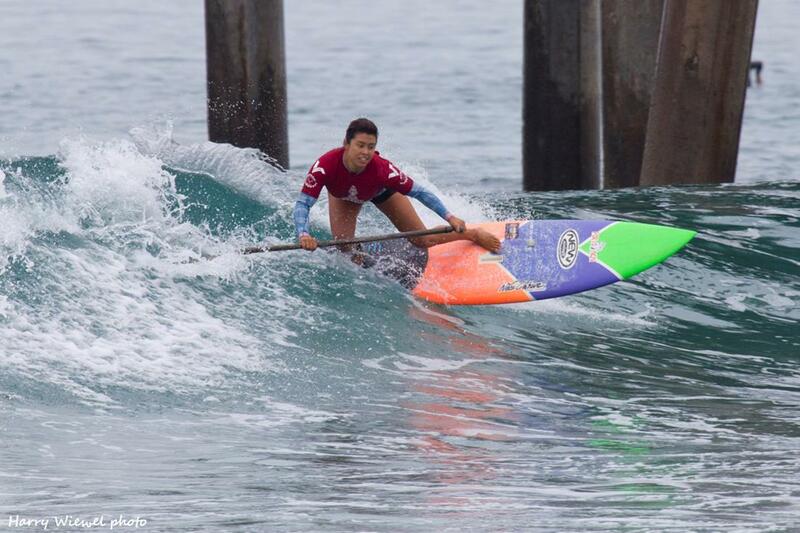 Likewise, Nicole Pacelli retains her ratings lead with a 5th place here in California, to add to her 2nd from Brazil and win from back at Turtle Bay in February. Meanwhile, Iballa Moreno (Starboard) build momentum here with a 5th place finish, putting her into 5th overall in the rankings with one more stop to come and a discard to count for her no show in Hawaii. It will be an interesting close to the year, as a real title race is developing here on the Women’s World Tour and it is still very much anyone’s at this stage and will all come down to the final event in France.